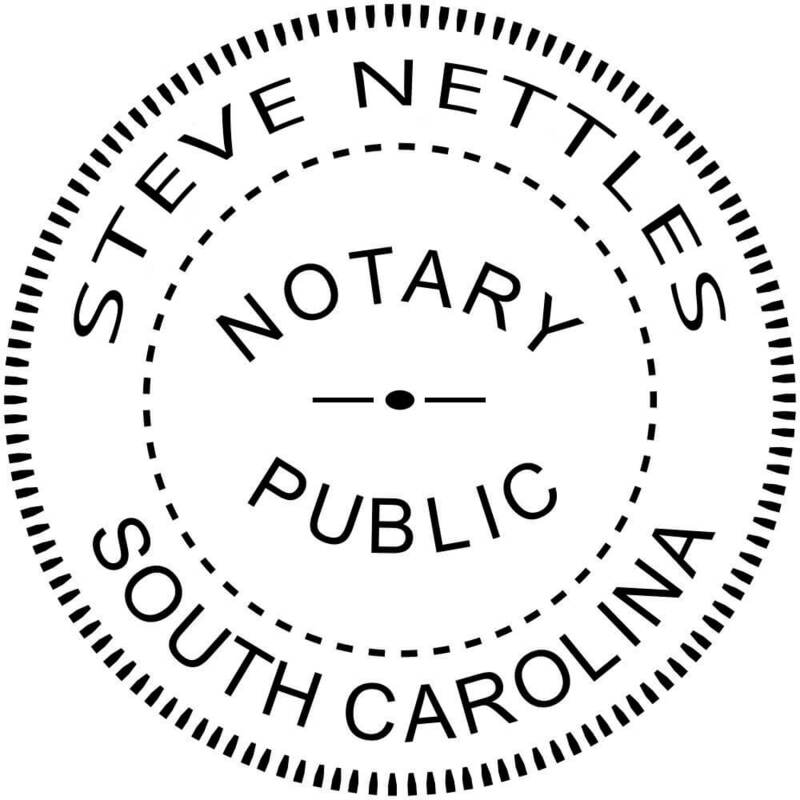 Steve Nettles is an Enrolled Agent / Tax Expert at Tax Pros Plus and has been helping tax clients for over 10 years. His staff at Tax Pros Plus helps people solve tax problems. They handle all forms of Tax Resolution, Tax Problems, Tax Returns, Company Formation, and Bookkeeping services. Learn more about the Tax Pros Plus staff here. At Tax Pros Plus, we never advise any taxpayer to take on the IRS by themselves, especially if it involves an IRS tax lien or levy. Receiving notice of an IRS tax lien or levy can be a very frightening time. Just the thought of the IRS seizing all of the money in your bank account(s) or taking your state income tax refund or any payment you may normally receive from the federal government can be unbearable. WE OFFER EMERGENCY LEVY RELEASE SERVICES! When an IRS levy, such as a bank levy, is issued, the bank is legally obligated to immediately freeze any and all of your accounts. The bank must then hold those funds for 21 days, giving you time to resolve the IRS tax debt. If you have not resolved the tax debt in those 21 days, the bank must send those funds to the IRS. And to think the IRS can actually seize and sell your personal property can be financially and emotionally devastating. Unfortunately, it does happen, although rarely. The IRS can take and sell any property, such as a boat, car or even a house. Tax Pros Plus can begin work on your case by requesting a Stay of Collections for up to 90 days. If the Stay of Collections is granted, the IRS will not contact you to settle back taxes for up to the 90-day period granted. This gives the tax experts at Tax Pros Plus the time needed to negotiate a better settlement, whether with an Installment Agreement, Offer in Compromise, or another form of tax resolution. If you receive an IRS tax lien or levy notice, contact us immediately. When you hire the Enrolled Agents at Tax Pros Plus, you can be comforted by knowing that our Tax Experts have years of experience dealing with the IRS. You can face the IRS with confidence when you have our Enrolled Agents on your side. CALL US ASAP for HELP with STOPPING the IRS from GARNISHING YOUR WAGES! You have received notice that the IRS is going to apply a wage garnishment to your paycheck. What exactly does that mean? Well, it means that the IRS can notify your employer that you owe back taxes. Your employer is then required by law to send a significant portion of each of your paychecks directly to the IRS to offset the tax debt. The dollar amount sent to the IRS for your wage garnishment depends on your filing status, the number of exemptions you claim and how often you get paid. Wage Garnishment can, and usually will, lead to a financial nightmare. As Enrolled Agents, the Tax Experts at Tax Pros Plus, we never advise any taxpayer to take on the IRS on their own. However, if you do nothing, the IRS will continue to garnish your wages until your back taxes are paid in full. Our Tax Experts will work with the IRS to negotiate the full or partial release in order to stop wage garnishment if you qualify for relief. Depending upon your individual circumstances, our Enrolled Agents may be able to arrange an Installment Agreement to pay the IRS a specified dollar amount every month until the back tax is paid. Once the Installment Agreement is in place, we may be able to negotiate an Offer in Compromise and settle your tax debt for less than the actual liability, depending on your individual financial circumstances. Another option is to be placed in a Currently Not Collectible status, in which you may not have to make payments to the IRS at all, again depending on your individual financial circumstances. If you receive notice of a wage garnishment, contact our Tax Experts immediately. Our Enrolled Agents have years of experience dealing with the IRS. You can face the IRS with confidence when you have the Tax Experts from Tax Pros Plus on your side. Don’t become another IRS statistic. If you are one of the many taxpayers with back tax debt, we understand your fear and, you are not alone. The IRS Knows there are millions of dollars in unpaid back taxes, interest and penalties – and they are looking to collect that debt. Maybe you’re worried that coming forward will get you into more trouble. Maybe you think if you come forward, you will find out the amount you owe will end up being even larger than you imagined. Or you think if you keep quiet, the IRS might overlook you. Wrong. Not doing anything is about the worst thing you can do, but what many taxpayers don’t realize is just about everything is negotiable with the IRS. Many taxpayers fall behind in paying their taxes for a variety of reasons — major health issues, divorce, job loss or loss of income. Small business owners may get behind in payroll taxes, which can quickly escalate into a large tax debt, including the interest and penalties the IRS assesses. The amount of tax owed can quickly add up to an amount you fear you will never be able to pay, so you quit filing your returns and hope the IRS does not notice. There are several options available to settle or pay the amount of back tax debt you owe the IRS and Tax Pros Plus can find the right solution for you. Let us deal with the IRS so you can continue on with life and restore your peace of mind. Currently Not Collectible – For those taxpayers on a fixed, limited income or who are currently experiencing financial hardship, you may qualify to be placed in Currently Not Collectible status. If the IRS determines you are Currently Not Collectible, you will be placed in a no-collection status and the IRS will not try to collect back tax debt from you. This status lasts for a period of time, after which the IRS will re-evaluate your ability to pay your tax debt. The amount of time varies, but can last until the statute of limitations expires and the IRS can no longer collect on the tax debt. Pay Your Liability in Full – If you have the ability to fully pay your tax liability, the IRS expects you to pay it. Many taxpayers are surprised to find they may have to take out a home equity loan, borrow from their retirement or savings account or sell assets to pay their tax debt. If you have assets, the IRS will look at these assets to determine your ability to pay your tax debt, even if you do not currently have the cash on hand to pay. Negotiating with the IRS to settle your back tax debt can be intimidating. The IRS tax code is astounding in its complexity. Trust the professional tax experts at Tax Pros Plus to work for you to negotiate a tax resolution you can afford to pay. Our professional tax experts will analyze your situation and provide you with the best recommendations to settle your back tax debt. If you are a business owner with employees and fail to file and pay your IRS Payroll Taxes, it will not go unnoticed. The IRS requires that you withhold Federal Income Tax, Social Security and Medicare taxes from your employees’ wages. How much should be withheld depends on an employee’s Form W-4. These IRS Payroll Taxes must be paid on a quarterly basis: March, June, September and December. Under certain circumstances, some small business owners may be eligible to file these taxes on an annual basis. Deposits can be made to the IRS electronically or by taking the deposit and required forms to a Federal Reserve Bank or other authorized financial institution. The IRS determines how often deposits are to be made, and they update these requirements each year, based on the annual payroll of the business. If you owe back IRS Payroll Taxes, the IRS can and will be very aggressive in its collection attempts. That is because, payroll taxes are funds you hold in “trust” that belong to someone else. The penalties the IRS often assesses can drastically increase the amount owed in a very short period of time. The failure to make timely deposits is a large portion of these penalties. And, not only is your business at risk, but you may be personally liable for any or all IRS Payroll Taxes owed. If the IRS determines the business cannot pay its past due taxes, they will then focus on any individuals who the IRS deems as responsible. If you owe back IRS Payroll Taxes, the Tax Experts at Tax Pros Plus may be able to help by designing a plan for paying these taxes and negotiating with the IRSso you don’t get assessed with a bank levy or lien, personally or in connection with your business. You owe the IRS. You can’t afford to pay the IRS. You’re in a bind. The good news is you may qualify for the Offer in Compromise program through the IRS. What is an Offer in Compromise? An Offer in Compromise is an agreement between the taxpayer and the IRS that resolves the taxpayer’s debt for less than what is actually owed. Yes, the IRS does have the authority to “compromise” or settle tax liabilities, under certain financial circumstances. The most common circumstance is when it is unlikely the taxpayer will ever be able to pay the liability in full, and the amount offered reflects what the taxpayer can realistically pay. The Offer in Compromise is a win-win situation for all involved — the taxpayer and the IRS. The taxpayer can finally breathe a sigh of relief knowing their tax debt has been taken care of. The IRS can find relief in knowing, in more cases than not, they collected more on the debt with an Offer in Compromise than they would have without it. Also, the taxpayer is more likely to stay in compliance when it comes to filing and paying future taxes as part of the condition of the Offer in Compromise agreement. At Tax Pros Plus, we never advise any taxpayer to deal with the IRS themselves. Tax Pros Plus has an experienced team of tax experts to help negotiate an Offer in Compromise for taxpayers that qualify for the program. The Offer in Compromise program is very complex and time-consuming, sometimes taking as little as six months and other times as much as two years. Results are not the same for all taxpayers, but you can be assured that you can face the IRS with confidence when you have the enrolled agents at Tax Pros Plus on your side. Give us a call today and take the first step towards getting peace of mind. If you fail to pay your back taxes, it can result in IRS penalties, and in turn interest that can compound over years and make your tax debt substantially larger than it initially was. Non-payment of this debt can then result in even more IRS penalties and interest, a levy on your wages or bank account, a lien against your properly, or even a seizure of your assets. IRS penalties can be applied for filing your tax return late or for paying your due tax late. The IRS penalty for filing late is generally 5 percent each month, or partial month, and can be up to 25 percent of the amount due on your tax return. The IRS penalty for paying late is 0.5 percent per month, up to 25 percent of the unpaid amount that is due. DEATH: Death or serious illness of the taxpayer or member of his/her immediate family. In the case of a corporation, estate, trust, etc., the death or serious illness must have been of an individual having sole authority to execute the return or make the deposit or payment or a member of such individual’s immediate family. ABSENCE: In the case of the unavoidable absence of the taxpayer, a corporation, estate, trust, etc., the absence must have been of an individual having sole authority to execute the return or make the deposit or payment. DESTRUCTION: Destruction by fire or other casualty of the taxpayer’s place of business or business records. ACCESS TO RECORDS: The taxpayer was unable to determine amount of deposit or tax due for reasons beyond the taxpayer’s control. However, this cause will be acceptable for taxpayer’s required to make deposits or payments of trust fund taxes only when the taxpayer was unable to have access to his/her own records. DISASTER: The facts indicate that the taxpayer’s ability to make deposit or payment has been materially impaired by civil disturbances. INABILITY TO PAY: Lack of funds is an acceptable reasonable cause for failure to pay any tax or make a deposit under the Federal Tax Deposit System only when a taxpayer can demonstrate the lack of funds occurred despite the exercise of ordinary business care and prudence. If you fit into one of these categories, the Tax Experts at Tax Pros Plus may be able to help you stop the cycle of IRS penalties by using our licensed Enrolled Agents to negotiate an Abatement of IRS penalties for you. An IRS audit can be a very frightening and stressful situation. Knowing the IRS wants to take a second, closer look at your tax return, whether it is the entire return or just a portion of it, such as expenses claimed for meals, entertainment or travel, can be a very nerve-racking experience, especially since the IRS takes the position that you are guilty until proven innocent. The Tax Experts at Tax Pros Plus, never advise any taxpayer to represent themselves in an IRS audit, no matter how simple it may seem. Even if you honestly believe you filled your entire tax return out correctly, meeting with the IRS can be a very intimidating experience and more so if you have to experience a face-to-face audit. Traditionally, however, the majority of IRS audits are done via correspondence. In other words, most IRS audits are in the form of letters asking for explanations of various tax items on a tax return or requesting supporting documentation. The fact of the matter is that on average only about one-third of all IRS audits are done on a fact-to-face basis with a revenue agent, tax compliance officer, or tax examiner. More often than not, an IRS audit of a tax return will result in changes to the return. Whether these changes are good or bad for the taxpayer depends on the situation. As for the likelihood of your tax return being audited, just keep this in mind that only around one percent of all individual returns filed actually received an IRS audit. But what if you happen to be in that unlucky one percent? We advise that you hire a professional to represent you. When you hire professional tax experts at Tax Pros Plus, you can be comforted by knowing that our licensed Enrolled Agents have years of experience dealing with IRS audits. You can face an audit with confidence when you have our Tax Experts on your side. Federal Tax Liens are a matter of public record and are filed in the local county/parish courthouse for all the public to see. If you don’t pay your back taxes, the IRS can and will file a Federal Tax Lien. A Federal Tax Lien marks the IRS’ priority on your real and personal property against all other creditors and gives the IRS the right to seize and sell such property subject to prior encumbrances. Prior to such seizure, the IRS must make an assessment and make demand for payment. If you don’t pay within the time specified in the first notice, they have the right to begin enforcement proceedings. It is determined that it is in the best interest of the taxpayer and the IRS. The taxpayer was not given an opportunity dispute the liability. If you have a Federal tax liability, and you cannot fully pay all you owe at this time, the Enrolled Agents at Tax Pros Plus may be able to help in keeping that Federal Tax Lien off the public records of your county/parish courthouse. Do you have past Tax Returns that need to be filed? There are many reason why people do not file their tax returns. You may owe money to the IRS, be afraid you will owe money to the IRS, forget to file your return, or another reason. Eventually the IRS will find out and you will have to face the consequences for not doing so. You may even be owed money from the government and not even know it! Come speak with our Tax Experts at Tax Pros Plus LLC of Charleston or we can talk over the phone to anyone in the United States for a FREE, no risk obligation, consultation that will allow us to tell you the best manner in how to file your late returns and what you can expect to owe or get from the IRS after doing so. Whether you only need the current year’s tax return prepared or you have multiple years of non-filed taxes, Tax Pros Plus can help. I have been with Tax Pros Plus for two years now. Tax Pros Plus is by far the Best tax service around. I love my tax professional Emille. I would give a hundred stars if I could. Highly Recommended.The staff is awesome, you always feel welcome when you go in, they actually appreciate your business and you as a person. If you need people who are knowledgeable with tax code, and want someone who truly values you, use Tax Pros Plus. We were truly Blessed to find them when we did. I would like to express my sincere appreciation for the work of all individuals involved in my representation with regards to the IRS tax issues. The expediency in which this personal crisis has been clarified and moved towards a true resolution, after 15 years of a spectrum of emotions and concerns, is quite amazing. I certainly did not expect to reach a workable status this quickly, or even in the near future, with so little pain. Please be assured that there will not be any future issues as you have secured my allegiance in using your services for all future tax filings. You all have earned a permanent spot on the company Christmas Gift List. Thank you again. I highly recommend Steve Nettles with Tax Pros Plus for all of your tax filling needs. 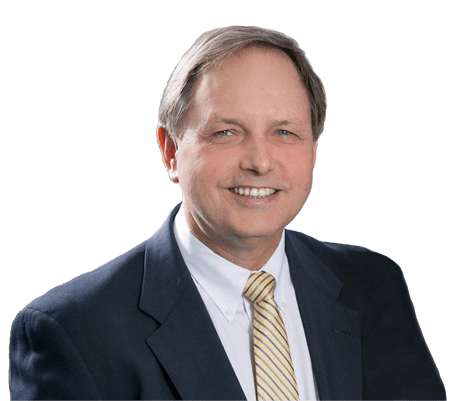 Steve’s is an expert enrolled agent in ALL states so if you have a tax issue he is absolutely the man to call. Several years ago he was able to help me and my husband with a very large tax debt ($92,000 BIG) to do an offer and compromise with the IRS. The IRS settled this debt for $50.00. So stop stressing there may be a way to relieve some of your stress. I still can’t believe you got my tax debt reduced from $21,562 to just $600! I wasn’t able to get anywhere with the IRS. Hiring Tax Pros Plus was the best decision I have ever made. I cannot thank you enough!